Last weekend was super busy with lots of fun social activities. On Sunday, we went to a friend’s house for brunch. They hosted at least 20 people, had a mimosa bar, bloody mary’s were flowing, and a fabulous breakfast spread that included donut holes (which were amazing! I won’t say how many I had). That morning it was hot and muggy so I struggled trying to decide what to wear. I ended up going with something comfortable and easy to put together fast. One word. Tees! 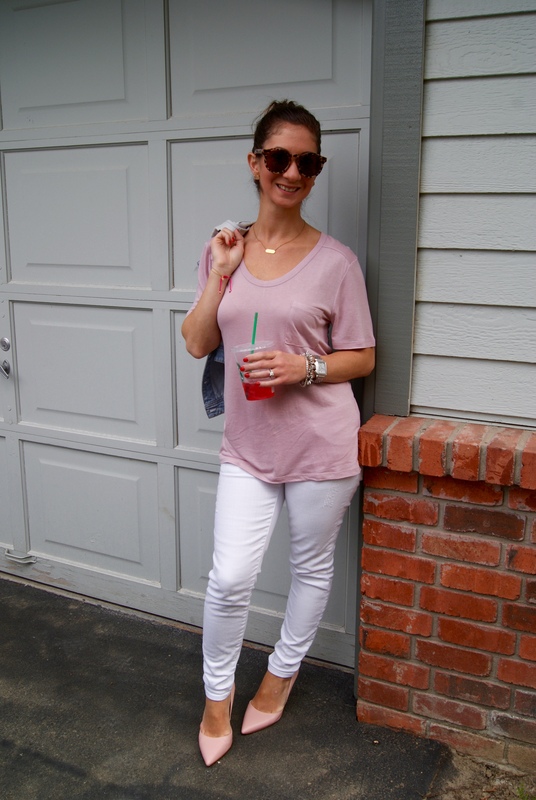 I paired my favorite white skinnies with a simple, flowy Halogen t-shirt (on sale!). 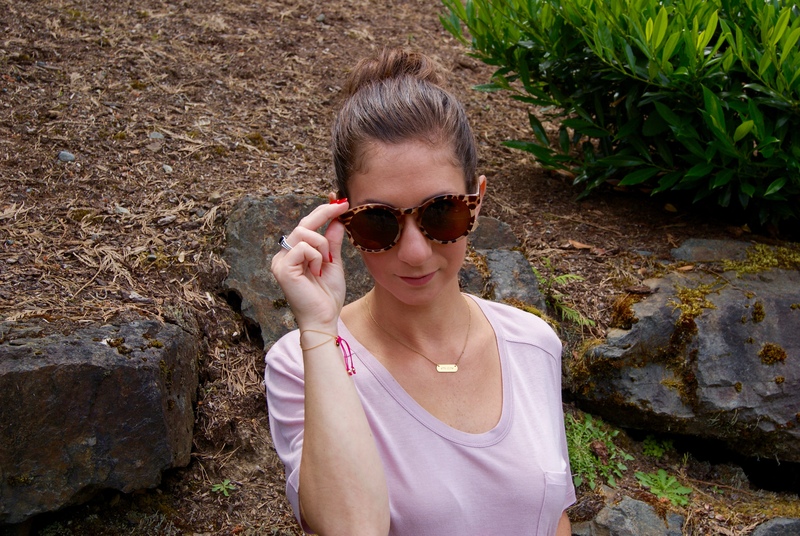 I threw on some accessories slipped into my blush pink shoes and I was ready to go! I’m on a t-shirt craze right now. Every time I’m at the mall and come across a simple tee, I have to buy it. 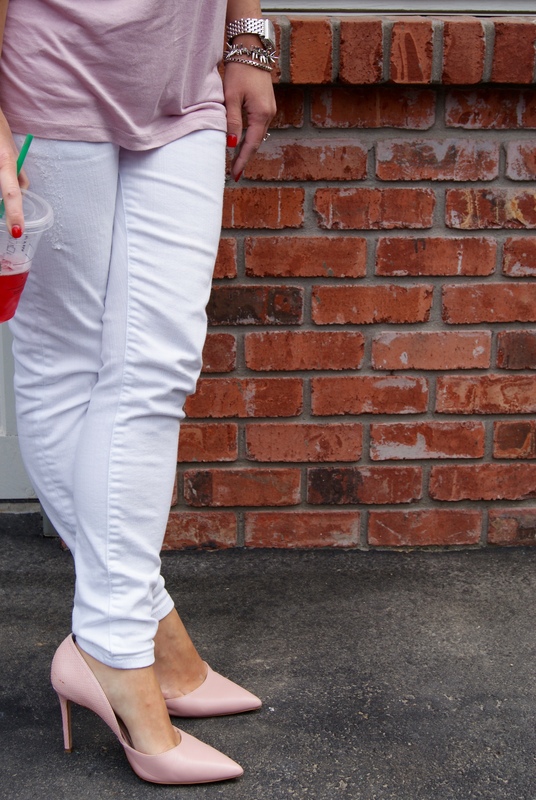 They are going to be perfect to pair with shorts or a skirt for summer. 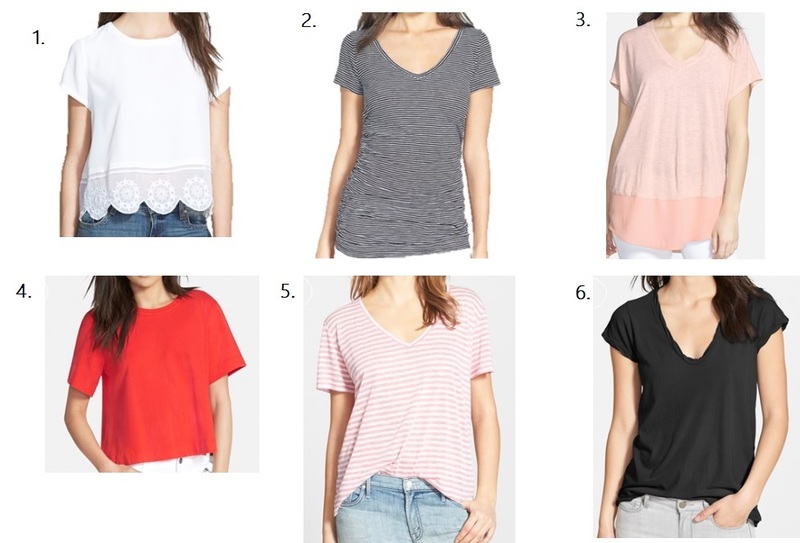 Here are some of my favorite tees from Nordstrom right now. And they are on sale! !